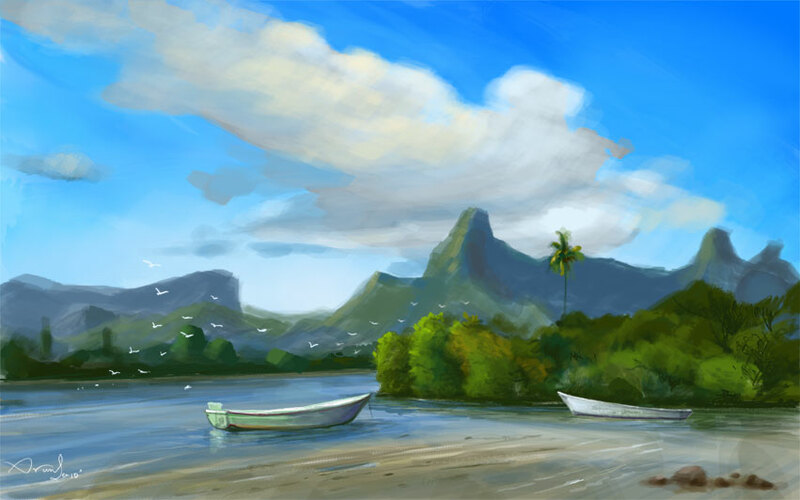 Arun Sen | concept art artist, graphic designer artist, paintings of landscape. I have touched the sea, fly with the breeze. walk past the rain, down through the arch of the rainbow!Here I am! !